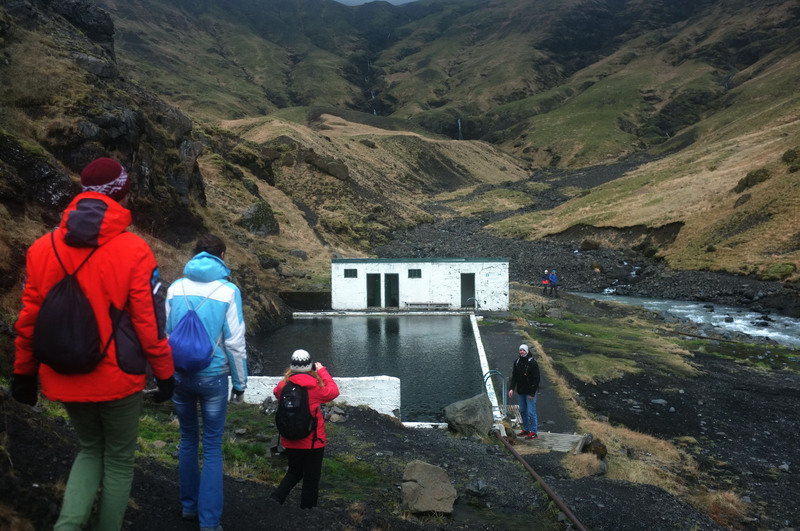 Going to one of the numerous thermal pools is part of the daily life in Iceland. With a steady chilly wind, cold and snow for almost 8 months a year, you are very happy to slide in the hot water of these pools at the end of the day, after an outdoor workout or at the weekend to cure a hang over. This pool is one of the most modern I have ever seen. I was blown away by its modern design. For example in the coolest hot tub (36-38°C) there are fancy light installations. Also the tower of the water slide appeared really cool with changing colours in an industrial style. Additional to three hot tubs, an inside and outside swimming pool and a steam bath, you can find a real Finnish sauna with wood, stone oven, relaxing room and a “Northern Lights”-kind of light installation in this pool in the suburbs of Reykjavík. This is one of the few (besides Varmálaug, also in Mosfellsbær and Álftaneslaug) I’ve been so far where you can find a Finnish sauna as steam baths are more common in Iceland. I love this pool and a lot of Icelanders come to Mosfellsbær on weekends just to enjoy this pool. Árbærjarlaug convinced me, because it was my first pool ever in Iceland – you know, the first cut is the deepest. But I find it also charming, because of its view over the city. Especially when it is already dark the city lights and starting planes from the domestic airport in Reykjavík create an awesome atmosphere while you’re sitting in a hot pool breathing the fresh air. Priceless! Besides the atmosphere, most of the time it is more quiet and homey than other “down town” pools. This is a little pool diamond remotely located on Álftanes peninsula, a place south of Reykjavík, but still within the “metropolitan” area (Icelandic “Höfuðborgarsvæðið”, so catchy, I know). It has everything you can wish for when going to the pool: A sauna, steam bath, three hot tubs, a wave pool as well as the basics like swimming lanes and a water slide. And the best: It’s not crowded, clean and very modern. It was built in the Icelandic Golden Age before the finance crash as it especially enjoyed the view over Mosfellsheiði and the Bláfjöll mountain range. 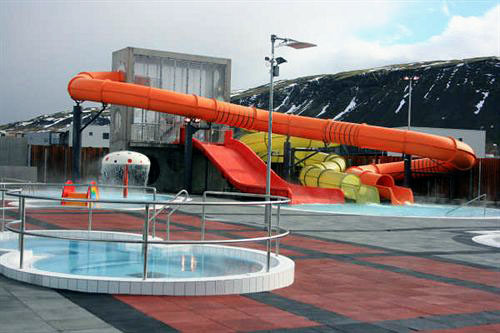 This pool is located in Grafarvogur, which is still Reykjavík city, but a bit more outside the city centre. It is located on top of a slope, so if you’re lucky and the sun is shining you’ll get the full dose due to its exposed location. And due to its exposed location you might fear that the sturdy Icelandic wind will make you uncomfortable? But no worries, all the pools except the paddle ponds are deep sunken into the ground, so you’re sheltered. I especially enjoyed the structure of this pool. 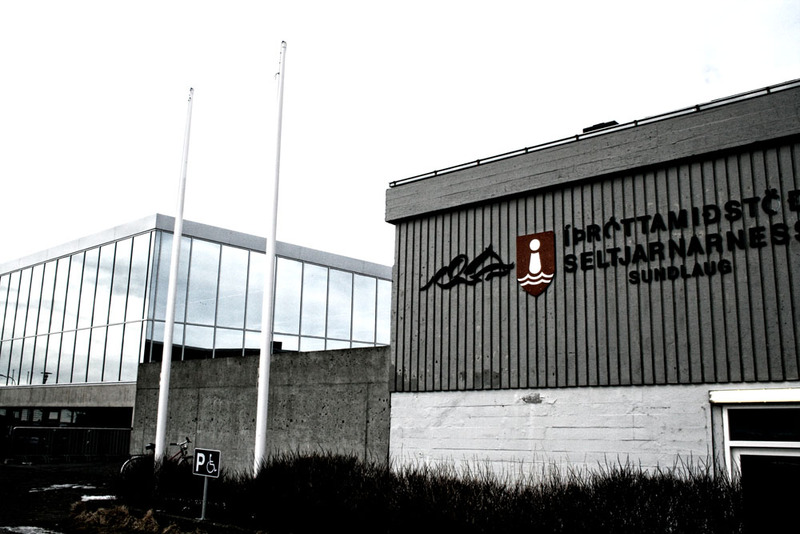 As it is a quite (for Icelandic standards) big facility, they decided to mirror the hot tubs around the outdoor pool. So, you have several hot tubs, a round steam bath, two water slides and an indoor pool area. If the wind is blowing strong and cold, this is perfect to reach the next hot tub the fastest after you left the bathing cabin. Although located in Kópavegur, which is a city by its own, it is in the metropolitan area of Reykjavík and just a few car minutes from downtown and well connected with busses. The sea water swimming pool, which should be good for your skin, and the view you have from here to Mt. Esja got me. If you’re lucky and have a clear view you might be able to see Snæfellsnes Peninsula – out of the pool. Unfortunately from the so called “Vaðlaug” (paddle pond) where there is no chance to relax and enjoy the view during the daytime as swimming pools are the favourite places of Icelandic kids (as everywhere, I guess). But try your luck in the evening or during work days. It also has a cold water vat next to the steam bath where you can climb in and chill yourself. Vesturbæjarlaug (Reykjavík): While swimming here you’ll look at a fence which massively reminds me of those from concentration camps (wooden with barbwire on top). Which literally totally ruins the relaxing atmosphere – once you’ve seen this, you can’t make it unseen. They also have one of those irritatingly flat pools which I can’t make use of. Furthermore it is a bit stale compared to a lot of other pools. 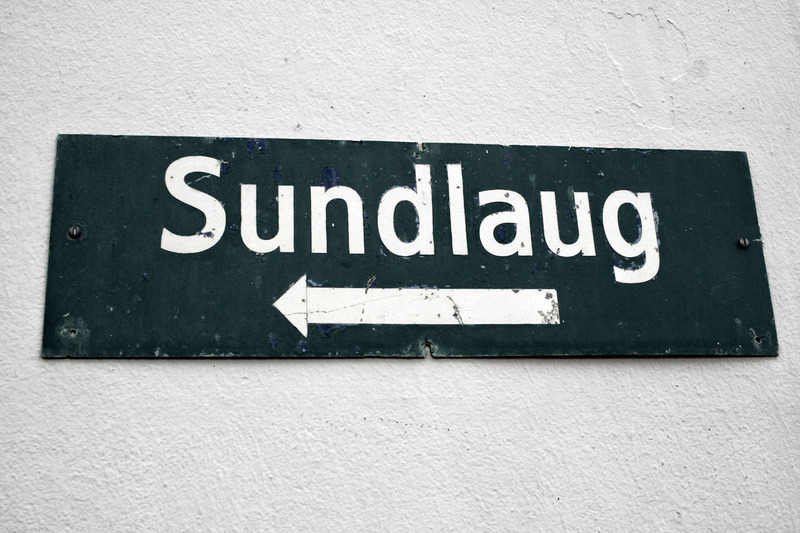 Laugardalslaug (Reykjavík): It is a nice pool and always good to get in touch with interesting (local) people. I actually like it, but it is always crowded as hell. Now this is winter time I’m writing this. Just picture the scene in peak season May-August. Relaxing impossible as you are busy to find an inch of water. Seljavallalaug (South Iceland): Often it is described as the MOST beautiful pool of Iceland. Maybe for some of you it will be. Indeed it is the oldest pool of Iceland and maybe also one of the most scenic ones. But if it is cold outside and you expect a warm/hot pool with changing cabins? 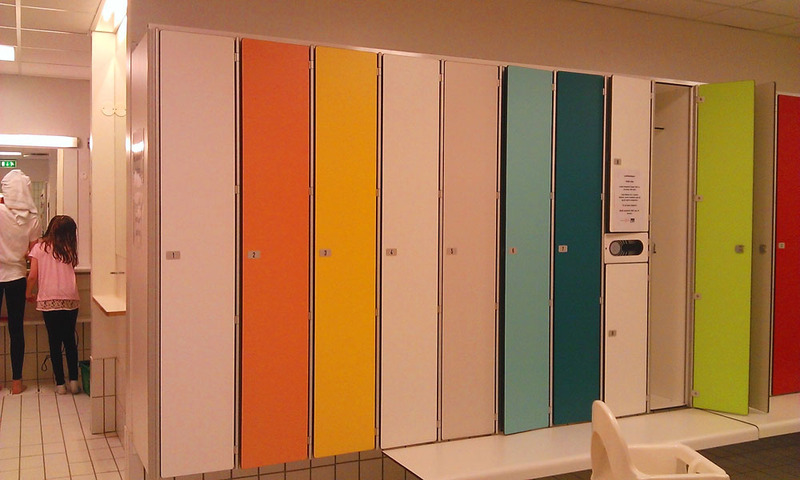 Sorry, the water is lukewarm and the “changing room” is more a mixture out of a sheep stable & rubbish dump. 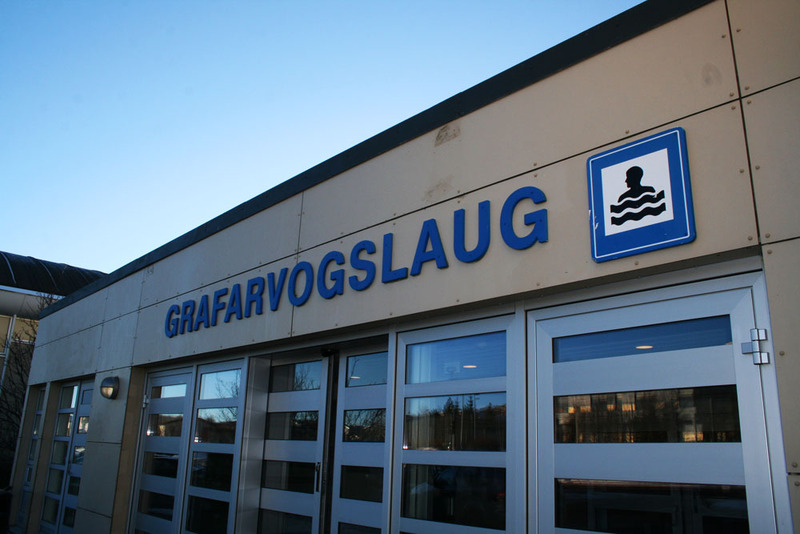 Ásfallalaug (Hafnarfjörður) – If you want to experience a “real” Icelandic swimming pool, Ásfallalaug should neither be your only nor first choice. As nearly every pool is inside, it is not really representative. It is really modern & stylish though. Spin dryers for swim suits – extremely practical! Entrance fee is not for a certain time: Once you’ve paid, you can be in there until they’ll kick you out at closing time or you pass out in one of the hot tubs (up to 45°C). For some reason which I don’t really get, there are plenty of surveillance cameras in pools. For every single pool, hot tub, slide, … there is an own camera. I find this really awkward as Icelandic pools are rarely so big, that pool attendants would lose track of one of the view guests.